Naveen Chandra has over 22 years of experience in broadcasting, digital and print media in India and international markets. He heads the International Business for Times Television Network, which is a part of India’s largest media group, the Times Group which owns among other media, the worlds largest English newspaper, the Times Of India. Times Television Network operates leading News, Movie and Bollywood channels in India. Chandra has led the international expansion of the Times TV Network into over 75 countries around the world. 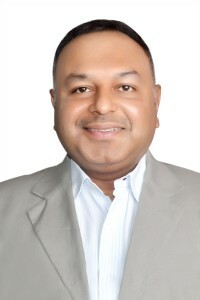 Prior to Times Television, Chandra has been the National Sales Director of Radio Mirchi, India’s largest Radio Station network and a General Manager with Sesa Seat, a subsidiary of the 1bn Euro Seat spa. He is a computer engineer by education and has extensive experience in media operations, sales & marketing in his career. Based in Mumbai, he loves writing, movies, soccer, teaching & travel.